Home cards journal cards mixed media pocket scrapping Project Life stamping Sweet Stamp Shop a SWEET new design adventure for me! 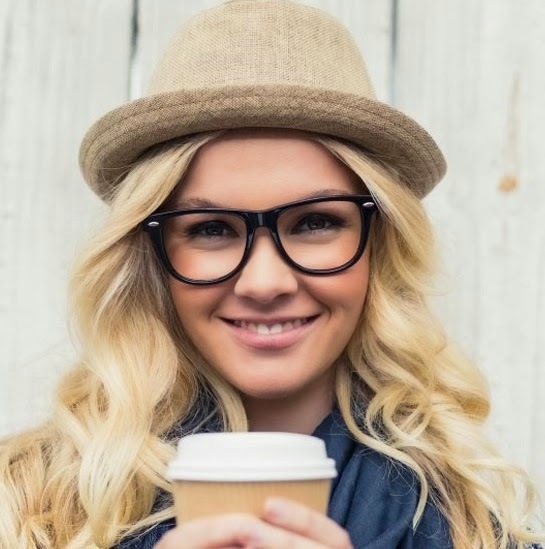 a SWEET new design adventure for me! 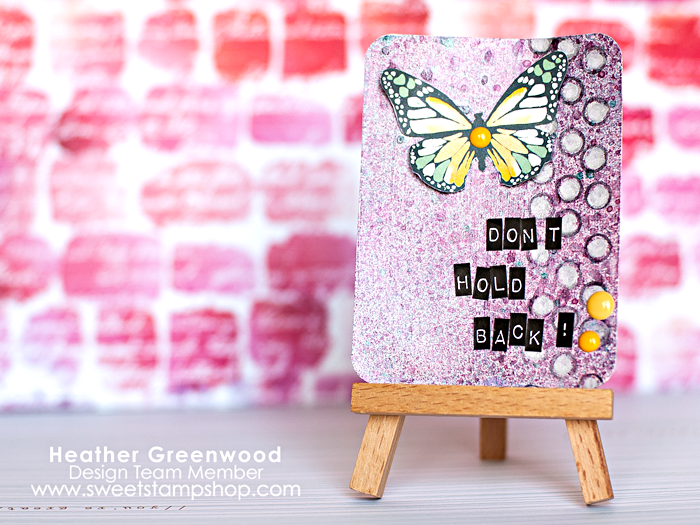 Those who know me well, know that I have a huge love of stamping. 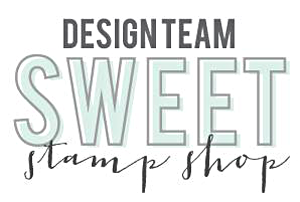 It's been awhile since I've been playing with stamps and I'm excited to announce that I am a new design team member for Sweet Stamp Shop for the summer. My friend Colie Kumar introduced me to them and I decided to try my chances at the guest design team call for the summer. To be honest, I totally didn't think I had a chance at making the team and was seriously jumping up and down when I got the invite. Already, I feel like I've made some really great friends and have learned a ton. 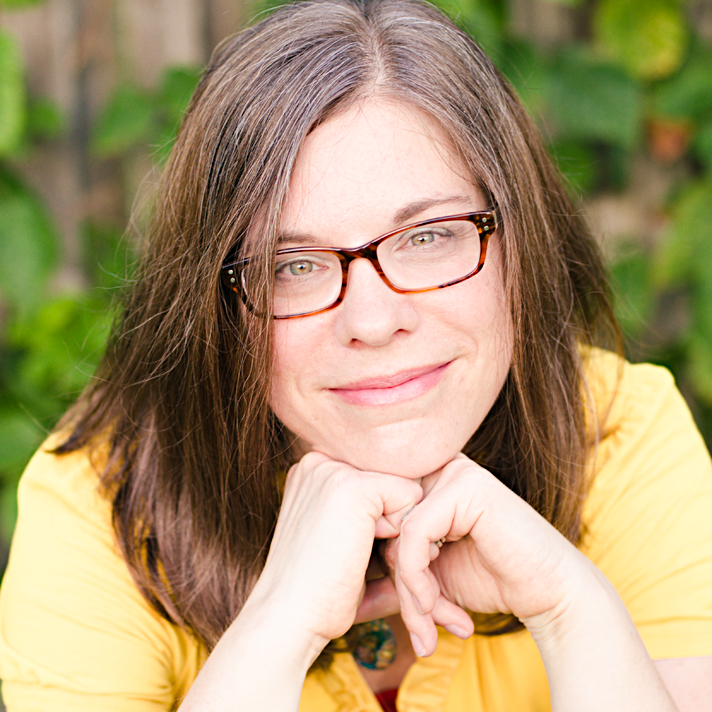 I'm looking forward to growing my skills and share them with you this summer. This morning I have three cards to share with you. I had so much fun creating them. 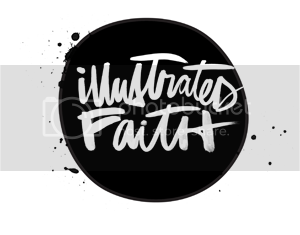 This first one is a card I plan to use in my pocket scrapbook album. 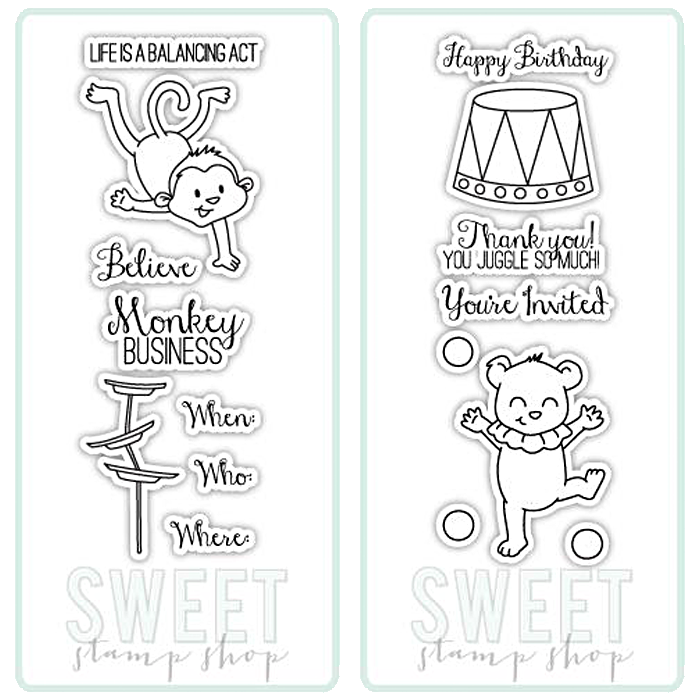 This one uses the Monkey Business stamp set. 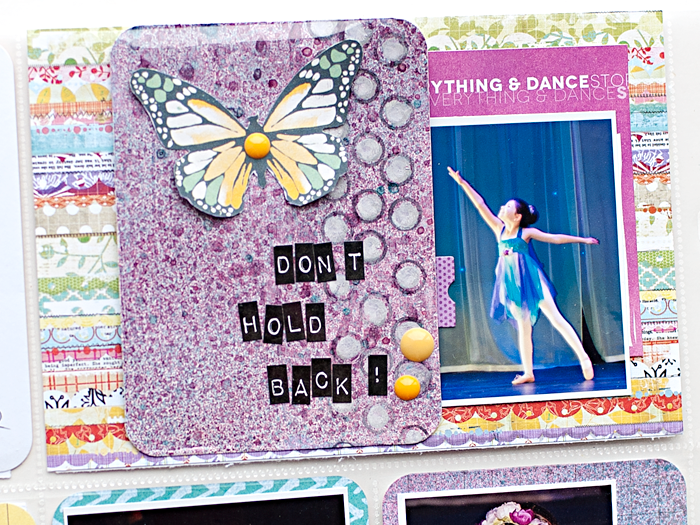 This second card is also in my pocket scrapbook album and uses the Juggling Act set. Remember last week when I said that I had an art journal card that I was sticking in a pocket but couldn't share it yet? This is the card I inserted in there. You'll recognize the background from the mixed media misting experiment tutorial from a couple weeks ago. 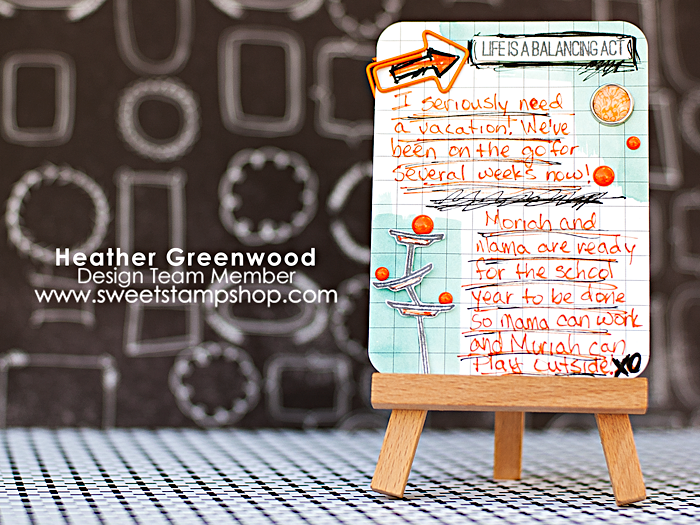 I used the three circles from the stamp set to create the circle border and then colored them in. I cut the butterfly from one of the We R Memory Keepers Ink Rose Instagram set. This last one is a birthday card I made also using the Juggling Act stamp set. I will admit, I had a hard time photographing it with all the glimmer. 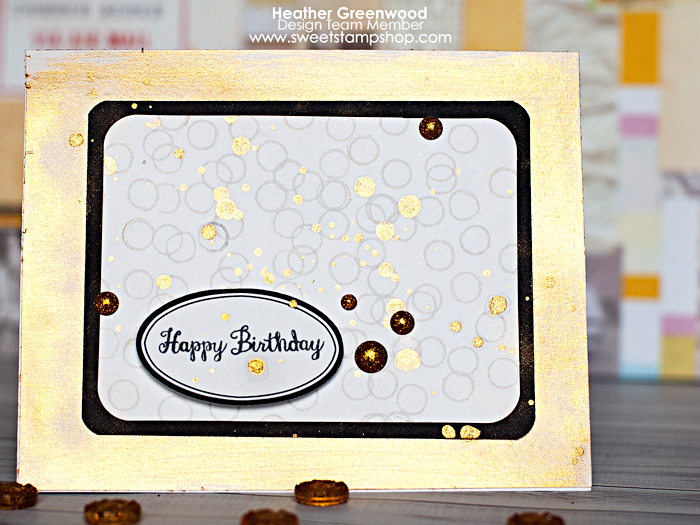 I again used the circles from the set and stamped them all over a Project Life white 3x4" card and then stamped the "Happy Birthday" sentiment on a Studio Calico label. It really is so pretty how it turned out, I guess I need to work a little bit on how to photograph glimmery projects. Aren't these sets adorable and so very versitle?